Barry Mamadou was found shot to death in his cab near Fordham University at 1:30 a.m. on Monday. His brother-in-law told reporters that the 39-year-old had called him just before the shooting to report that a passenger was carrying a gun: “I don’t know why this happened. 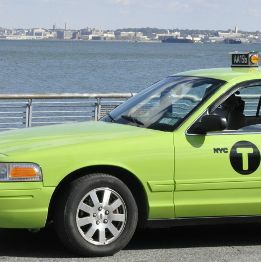 Taxi drivers never have a lot of money — maybe only like $50 or $100. You killed him for a couple of dollars.” Mamadou, who left behind three kids and a pregnant wife, was the eighth person to be killed by gunfire in New York this weekend.